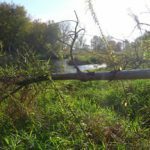 In the late 19th century, everybody was wading in the local creeks and rivers in southern Wisconsin searching for pearls, even in the little Badfish Creek flowing past Cooksville. Japanese Knotweed is an aggressive invasive plant that is threatening the stream banks. Controlling its spread is one of our long-term projects. If you are a landowner and suspect that you have an infestation, contact us. We can help or point you in the right direction! Read the Japanese Knotweed Eradication Guidelines (pdf). View the DNR’s fact sheet (pdf). Lynne and Sharon have been monitoring for several years at Riley Road for dissolved O2, temp and turbidity, plus a biotic index in spring and fall. 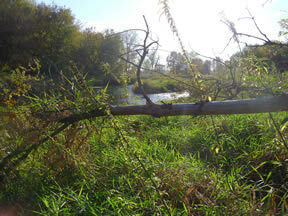 Details are available at RRC Citizen Stream Monitoring. After you enter the data base, the Waterbody ID is BADFISH CR (799500). Select all parameters. Also see the Monitoring Facebook page. To keep up on current FBCW events, see our calendar on Facebook. 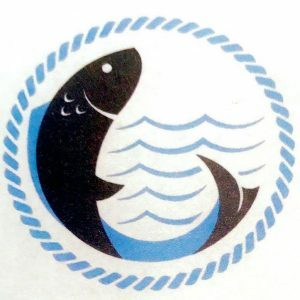 You can also follow Rock River Coalition (RRC) on Facebook. 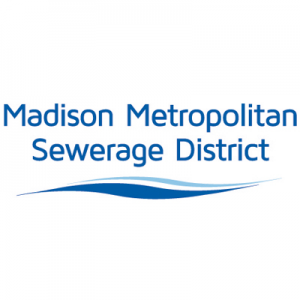 Did you know that the Madison Metropolitan Sewer District gives tours of its facility?